On Israel’s 70th anniversary, the U.S. Embassy in Israel was officially dedicated in its new location in Jerusalem. It actually occupies a building that has long been the U.S. Consulate in Jerusalem. The dedication ceremony was magnificent. and the plaque that identifies the occasion identifies the extraordinary relationship between the U.S. and Israel. 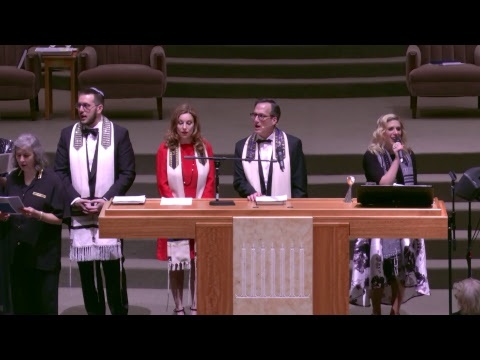 In 90 minutes on television and over the Internet, Jews of the world were spell-bound not by news of anti-Semitic assaults or crushing blows of terrorism, but by the fulfillment of prayers, the sacrifice of fallen soldiers, and the leadership of two nations inextricably bound to each other. The mood of the speeches and promises was uplifting and inspiring. The tears that audience members and viewers surely shared were “tears of fruit” that witnessed the unveiling of Israel’s coming-of-age. I watched the livestream. I was moved by the event. I was inspired by its promise. Other nations are moving their embassies to Jerusalem. Some nations are acknowledging the truth on the ground. All of us are hopeful that this truth might lead to something greater than we’ve just witnessed, because a political site in Jerusalem isn’t enough. Words are not enough. We want more! We want peace! We need peace! However, every speech ignored the other truth, which was that, beyond the tent where diplomats assembled to celebrate their achievement, IDF soldiers were holding back Hamas-led “protestors” bent on breaching the border and massacring Israelis. Subsequent news reports acknowledge that most of those killed on the border were Hamas terrorists, and that it was not a protest at all, but a full-on attempt to invade. But, that’s only a temporary exoneration of prior claims that will plague Israel’s future. It’s still just one more story among many that does nothing to improve Israel’s or the Palestinian’s current and intractable circumstances. Today, Israel has lined up its best defense and political partners. Israel deserves to and must defend its borders, its people, and its future. Meanwhile, world Jewry grows increasingly polarized about the next steps. The resounding and unmistakable message is that peace must follow strength. If peace doesn’t follow strength, then either peace is ultimately elusive, or strength has been the real prize, after all, or both. On February 26, 1986, in his address to the nation on national security, President Ronald Reagan said, “Strength is the most persuasive argument we have to convince our adversaries to negotiate seriously and to cease bullying other nations.” It seems that Israel has learned from Reagan’s playbook a refrain that’s worth repeating. History certainly records victories among those who had the stronger army. But, the goal in the Middle East isn’t to vanquish our enemy. Israel’s remarkable regional strength works to defend its sovereignty and security; but, will it “convince our adversaries to negotiate seriously and to cease bullying” Israel? Not yet. In Reagan’s era, it was good versus evil, where evil was the Soviet Union. Today, good and evil have become relative terms; it depends on who you ask and which side you defend. It makes the outcome murkier. That might be the result we have to accept, but it would be a terrible fate for Israelis and Palestinians. Increasing Israeli strength will hold back its enemies but at a great price. Their record on human rights and their credibility as peace makers will continue to suffer. Though our current president was bold in his decision to move the Embassy to Jerusalem, we haven’t seen any more pages in his playbook. What’s next for the region? Whose move is it in this precarious game of good versus evil? World Jewry has an opportunity to turn the page in a playbook of its own creation, but only if world Jewry can come closer together. Let’s not do what Abba Eban observed about the PLO, when he said, “[They] never miss an opportunity to miss an opportunity.” Let’s seize the opportunity to turn the page in a playbook of our own creation and begin to move beyond strength, alone. Let’s seize this opportunity to enter peace talks that make the Embassy in Jerusalem worth the gala event we celebrated.